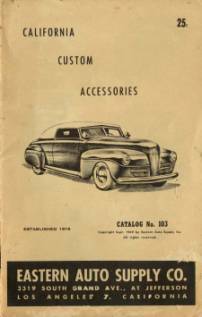 Eastern Auto Supply - Catalog number 103 printed 1949, 30 pages 5 1/2 x 8 1/2 inches. Manifold, stacks, chrome, custom accessories. Condition fair. Lit_0937. Price $95. 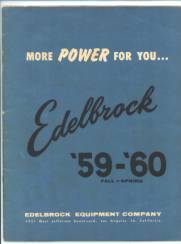 1962 Edelbrock catalog. 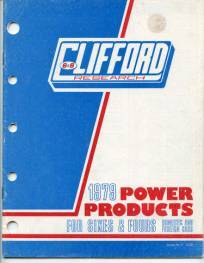 8 ½ x 11 inches by 36 pages. 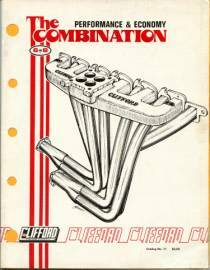 Illustrated intake manifold applications, log manifolds, 8x2, 6x2, 4x2, 3x2, 2x2, 3x1, valve covers, progressive throttle linkage, aluminum heads, Schiffer flywheels and clutches, Transdapt engine adapters, Hedman Hedders, air cleaners, more. Some minor termite damage along upper edge and lower edge (not into text or pictures), more damage to rear cover; otherwise very good condition. Stock number Lit-0245. Price $60.00. 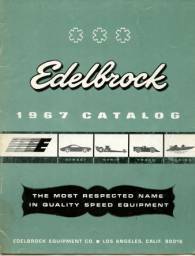 1970 Edelbrock catalog. 8 ½ x 11 inches by 86 pages. 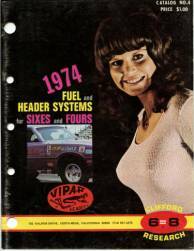 Company history, intake manifold design, illustrated intake manifold applications listings, valve cover applications listing, cylinder heads, fuel blocks, Holley carburetors, Holley carburetor original calibrations guide, Holley parts, Holley secondary metering body specifications, race prep articles, race car pictures, much more. Front cover has a wear and tear area of about 1 ½ inches by 2 ¼ inches; otherwise excellent used condition. Stock number Lit-0244. Price $60.00. 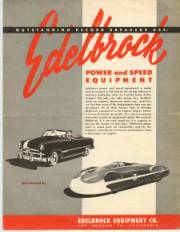 Newhouse Speed Equipment catalog number 208 printed 1950 w/1952 update. 5 1/2 x 8 1/2 by 28 pages. 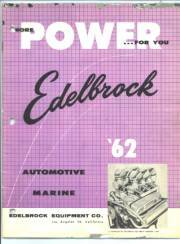 Manifolds by Edelbrock, Edmunds, Thomas, etc. Burns cylinder heads, much more. Condition fair. Lit_0938. Price $95. 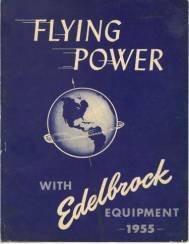 1963 J.C. Whitney & Co Automotive Parts and Accessories Catalog number 191. 6 ½ x 9 ¼ by 322 pages. Worth the price just to daydream! 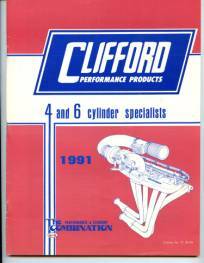 How about a 6 carb log manifold for your 1963 Pontiac fro $52.95, or a Stromberg 97 for $12.95??? Good used condition Lit-0339. Price $30.00.